Whether you buy them in the store, or you opt for custom window treatments that are made especially for your home and tastes, the way you dress up your windows can make or break the look and feel of your city living space. Curtains are the number one window treatment in use in the country and have been for decades. Both curtains and drapes generally are sold in pairs. They typically are installed to hang from rods for easy opening and closing. Drapes are considered to be the heavier of the two and are often used in cold climates or in winter months. They tend to be thicker than just regular curtains and provide more blockage of light and cold. Both curtains and drapes are capable of finishing a room effectively, but drapes usually are chosen specifically to block out cold and light. Both curtains and drapes come in nearly limitless colors and styles, making them an excellent addition to windows in NYC homes. In today’s window treatment market, blinds are available in many more colors and styles than ever before. There was a time when white and beige blinds were just about the only options available, but that’s definitely not the case anymore. Window blinds can be either horizontal or vertical, with vertical being the more popular choice, often because they tend to be cheaper than horizontal blinds. 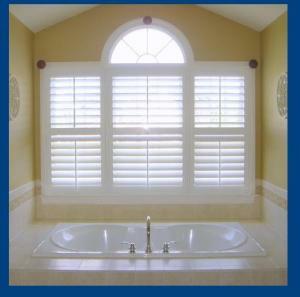 With slats that can be opened and closed, blinds are effective at allowing in just as much light as users prefer. Blinds can be used alone or with additional window treatments such as cornices, swags, curtains, or drapes. Shades are hung at or near the tops of windows and are a bit like blinds without the slats. Window shades perform the task that their name would suggest … they shade a room from sunlight. The most popular type of window shade available today is the Roman shade, which is a traditional design of shade that typically is constructed of fabric. Shades, like blinds, can be raised and lowered as users prefer. Another type of shade that is a favorite among homeowners today is the balloon shade. Aptly named, this type of shade balloons when raised up to allow in light. Cornices typically are used as a finishing touch to a window that contains another type of window treatment, such as curtains, drapes, or blinds. A cornice is a boxy construction that usually is padded and finished with a fabric covering and mounted at the top of a window, often to cover up an unattractive rod or hardware. Cornices also come in myriad styles and colors, and homeowners often construct their own with the same curtains or drapes that are already placed on the window. Cornices are used to add decoration to a window. A swag is a long curtain that typically is draped across the top of a window in order to ‘swag’ or drape across it and down the sides, mostly for decoration. Swags really don’t provide any protection against sunlight or cold air, but they often are used with other window treatments, especially blinds. A swag, like a cornice, is used to add a finishing, more decorative, touch to a window. A valance is used much like a cornice. Like a cornice, a valance goes across the top of a window, but it is generally made of fabric, unlike a cornice which is a kind of a box covered with fabric. Like cornices and swags, valances are added to a window as a finishing touch.